Go on, go on, go on! Southside Wheely Wheelers recieved some encouragement from Mrs Doyle as they visited Craggy Island parochial house last Sunday while taking part in the Tour de Burren. You would have been forgiven for staying for tea as the conditions were wet and windy making the tough course tougher still. Starting the 162km route at 9.30, Dodo Kelly, Mike Gammell, Shane O’Brien, Mike Sexton, Owen Tobin, Willie McCarthy, Martin Lake and Stephen Hehir hadn’t many miles on the clock before the climbing started, closely followed by the forecast rain. Memories of Wicklow 2011 sprang to mind as we climbed hill after hill in the rain but spirits never dropped and we imagined how wonderful the scenery would be if the sun were shining. A welcome food stop in Lisdoonvarna after 64km was just what the doctor ordered and set us up for the following 100km. Mary McCarthy, Edmund O’Reilly and Robert Shanahan started on the 100km course around 11.00 and completed the journey together. The finish in Ballyvaughan was a very welcome sight for all. A free ice-cream and dry clothes, lovely. Well done everyone. SWW Underage Stars Doing The Business!! 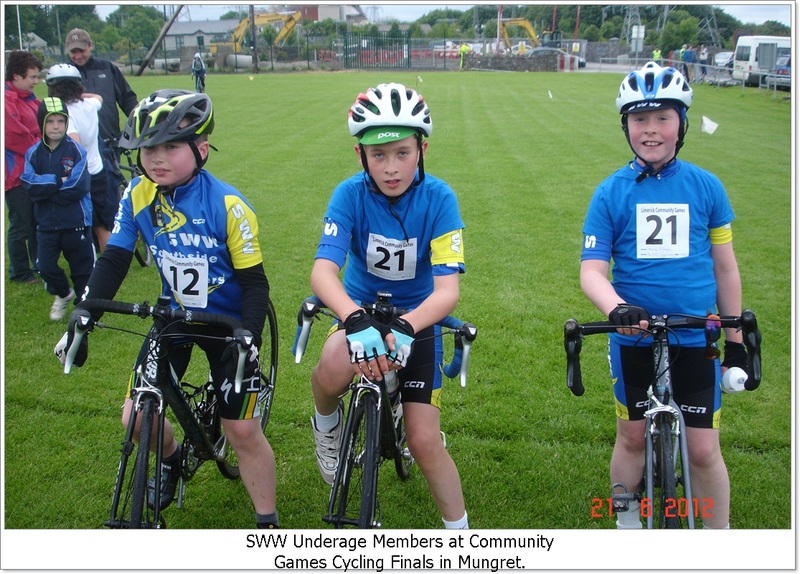 Some of our underage members travelled to Mungret last Thursday for the Community Games Cycling Finals. Yet again they performed brilliantly. Competing in the U12 races, the final results were Aaron Passmore having a great race to finish fifth, Harry Mullane getting on the podium with second and Brian McCarthy taking the top step with a fantastic win. Brian now goes on to the Community Games All Ireland Finals in Athlone in August. Everyone in the club are fiercely proud of all the boys and wish Brian the very best of luck in Athlone. Well done also to Underage mentor Owen Tobin. Date: Sunday 22nd July 2012. Sign on: 11am to 12 Noon. Cycle starts at 12.15 Sharp. Distance 8k and 30k. Enjoyable cycle routes. 12 euro Adult or 30 euro per family of 4. 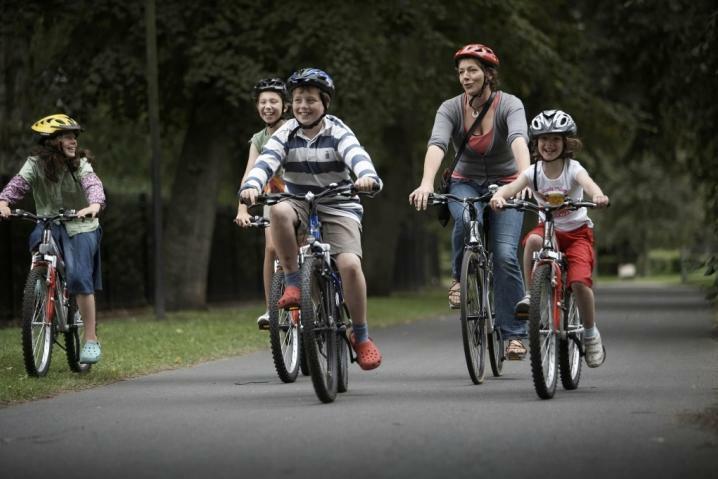 A Wheely Great Family Fun Day of Cycling. Free BBQ and refreshments after cycle. Free Bouncing Castles etc Sumo Wrestling, cycling fun events and field fun events and face painting. 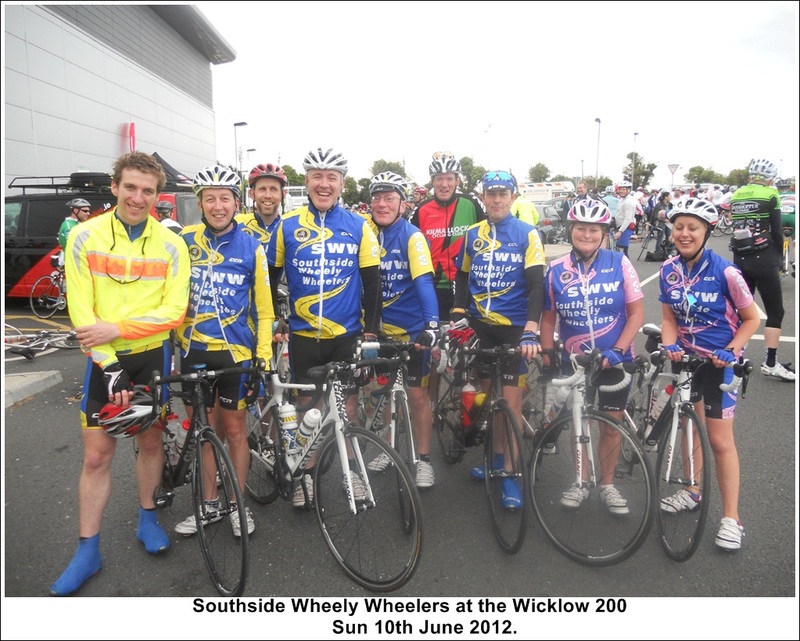 Michelle Gammell, Ber Gammell, Paul Gammell, Pat O’Donnell, Mike Sexton, Willie McCarthy, Daithi Creedon and Jerry Herbert travelled east to take on the infamous Wicklow 200. This is without a doubt the toughest tour in the country. SWW cyclists had a few kilometres cycling on flat road until the first long gradual climb of the day the Glencree Climb. Then a fast decent took them over the highest point of the day the Sally Gap (1650 ft.) Category 1 and a fast decent to the foot of the Wicklow Gap Climb(1600 ft) Category 1, then the short but demanding climb at Aghavannagh. At this point you feel as if your legs have deserted you in your time of need and then another all too short downhill. From here they cycled straight onto the dreaded Slieve Maan (1500 ft) Category 1. TheSlieve Maan Climb is arguably the toughest climb and you would be forgiven for throwing your bicycle over the ditch and “phoning a friend” for a drive home. The descent to Drumgoff is tricky and took them immediately after the crossroads onto the Glemalure, another hardclimb as your legs are at breaking point. The Meetings, over the bridge to Avoca, a left turn through main street and the last major climb of the day the Knockanree which takes many by surprise, not very steep but seems to go on forever. Left again atBarndarrig, this time onto an extremely steep but mercifully very short hill. It’s a huge achievement to complete this tour so well done everyone, the whole club are proud of you all. Sunday 10.06.12. 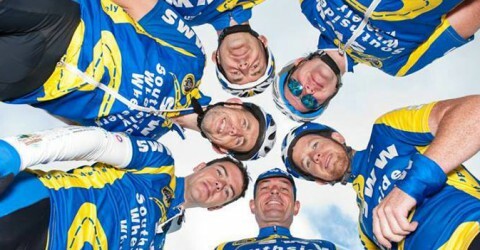 Our spin took us to Limerick, over Gallows Hill to Clonlara, back into Limerick and home. A beautiful morning and a really enjoyable cycle. In action were Big Dave Walsh, Matthew Gammell, Dodo Kelly, Martin Lake, Owen Tobin, Simon Kelly, Gene Manton, John Carey, Shane O’Brien and Brendan Houlihan. Plenty of sweat lost on the climb but smiles all round at the top. Well done lads.